would have looked like had we been in the States? Once a week, on Sunday nights, I make dessert. Unless we’ve just gotten a care package that includes brownie mix, making dessert means baking from scratch. And I mean super-duper, Laura Ingalls Wilder-style scratch. 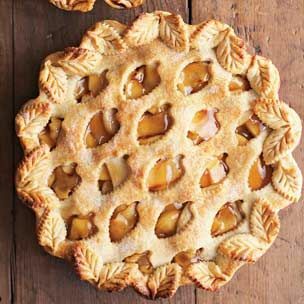 Yesterday, I was thinking: it’s now September, and September is Fall – in some parts of the world, anyway – and Fall sounds like a good time to make apple pie. I’m terrible at pie, and it’s not even my favorite dessert, but things change when you’re 8000 miles from home. So, I made sure we had flour, and bought apples at the market, and announced to the kids that tonight after dinner, they could help me make pie. They were pretty excited, and eagerly helped me clear the table after we finished our meal. We started pulling out ingredients and equipment to get started. 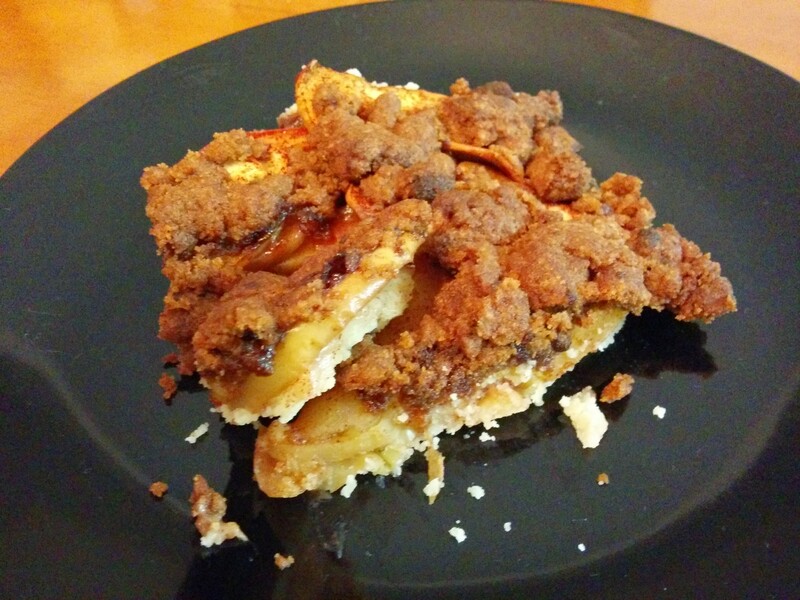 But I couldn’t find the pie plate I thought we had here, so we used a rectangular metal baking pan instead. Since we didn’t have shortening, I had to use an oil crust recipe that is mixed right in the pan. I was pretty sure the oil crust would not be a joy to roll out for a top crust, so I quickly found a recipe that has a strudel topping rather than a top crust. But I didn’t have cooked apples for the filling like the strudel pie recipe called for, nor did I have the time to cook the apples (because, hey, we wanted pie NOW). So, I just put in raw, sliced apples and hoped for the best. In short, we did what we have to do so very often here: we substituted, we improvised, we did the best we could with what we had. I reflected how often we’ve done that in our life here. Back in the U.S., we can get anything and everything we want. The exact ingredients for anything, even if some exotic recipe requires a trip to the Asian supermarket. The PERFECT party decorations — balloons and M&Ms and plates and favor bags all in the right color palette. Beautiful matching outfits for the kids to create Instagram-worthy Christmas portraits. Here? Not so much. We do the best we can with what we have. Often this requires a lot of creativity, like coloring your own “Happy Birthday” banner for parties, or cutting out white paper snowflakes as your only decorations for Christmas. And somehow, rather than feeling disappointed, it leaves us with a sense of accomplishment, and healthy pride. WE MADE THAT.We didn’t have ricotta or the right noodles or a jar of pasta sauce, but we made lasagna! We didn’t have Etsy-purchased invitations or an incredible cake or a bouncy castle, but we had a really fun birthday party! I don’t want to romanticize this too much. There are times that I am very frustrated that I can’t get fill-in-the-blank, and times that I am longing for how easy it is to do some incredibly cool stuff in the States. And believe me, when I am in the States, I slide right into being one of the moms trying for the uber-cool Christmas photo, or planning dinners that look like they poured onto my table out of Sunset. But here, we’re able to be very content with simple things. Things that will never make it to magazines or Pinterest. And yet, they are more than enough to make us smile. The finished product. Not pretty, but tasty. Because, when the timer dinged and I pulled out our Frankenstein of an apple pie, it didn’t matter that it wasn’t as perfect as it could have been. We had all pitched in to help make something, doing the best we could with what we had, and in the end, we were just happy to have dessert. And when the oven dinged…can definitely tell you are in China! It is the only place I know of that the ovens are both difficult to find and they ding! 😉 Everywhere else they buzz or beep. As a fellow ex-pat in China, I love reading your blog, and I can so relate to those recipe-hacks. Thank you for both the chuckle and reminder about contentment.